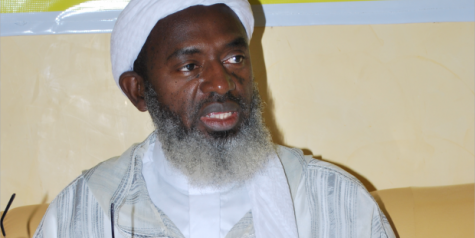 A fiery Islamic cleric, Sheikh Ahmed Gumi has revealed how he warned President Muhammadu Buhari against taking over governance from the immediate past President Goodluck Jonathan. Gumi said he told Buhari that he was coming to make things worse for Nigerians due to the situation on ground when he won the election. The cleric said his criticism of the President was done in the interest of Nigerians. Speaking with Punch, Gumi noted that things were worse now under the Buhari administration than it was during the past government. According to him, “Our criticism of Buhari is not about being a northerner or a Muslim . It has to do with what is in the best interest of Nigerians. A leader is like a blind man. People on the ground or on the field could see what he cannot see. “Preachers of religions who are apolitical are the ones that are the eyes , telling the leadership what to do or where things are going wrong. “We are like the press too, we are supposed to be neutral in our presentation of facts. Once things are not going on as they should be, it is our duty to come out to explain to the people and the government what is wrong and also proffer solutions. “Even before Buhari came, I was one of the few people that advised him that the Nigerian situation at the end of Jonathan’s regime was not the best for him. He was going to make things worse, not better. “If you are bringing in a patient who has broken all his limbs to the hospital , the doctor will be concerned about whether his blood is circulating and not about his broken bones. “The doctor will not be looking at the protruding bones but those standing by will be looking and wondering why the doctor is not concerned about the bones.